This restaurant is permanently closed. Jules is closed for the season. We hope to serve you again soon! F.O.D. 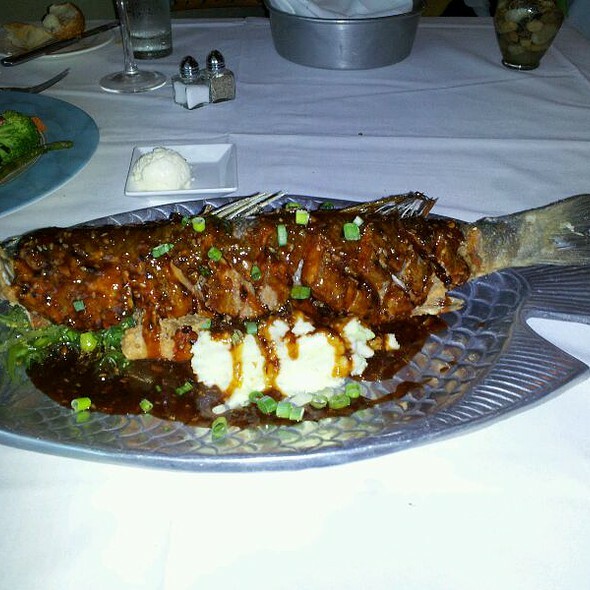 "Fish of the Day"
We have dined at Jules on numerous occasions so we were looking forward to dinner on new Years Eve. 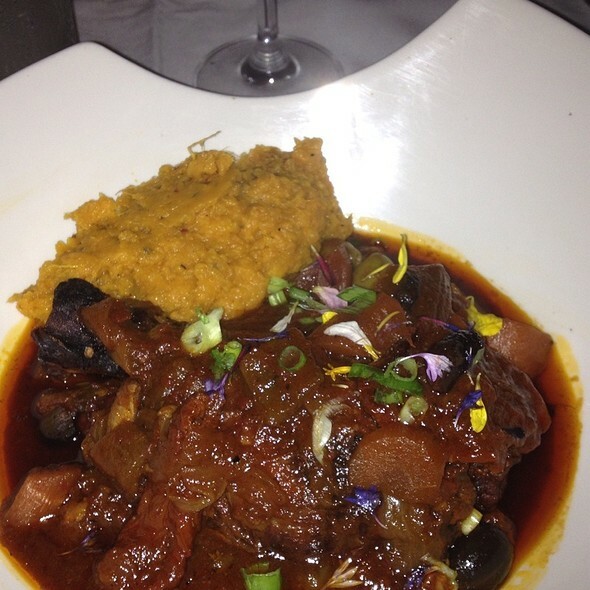 Our dining experience was disappointing as compared to previous meals we have had at Jules. My wife had the Rockfish and I had the Filet. We also had the Mushroom cap appetizer, desert and a bottle of wine. The appetizer was good but not great. The Rockfish was good but the sides were not very warm. The Filet was good but my side of veggies was way over cooked and the mashed potatoes were almost cold. For the price of $35 and $39 the quality of the food was not up to your normal high standards. The other problem area was that there was nobody handling the door and seating people. The 3 waiters and the lone waitress were tasked with checking reservations and seating people. They were very busy and this situation had an adverse effect on table service. Also the length of time to get our food was rather long. Thank goodness we were in no hurry. We had a excellent bottle of wine to savor. It just seems to me you were not prepared for the volume of people you had on New Years Eve. I'm sure we will dine at Jules again sometime in the future but not on New Years Eve. We were here for new year eve. Great food as always. This is our third trip to Jules. 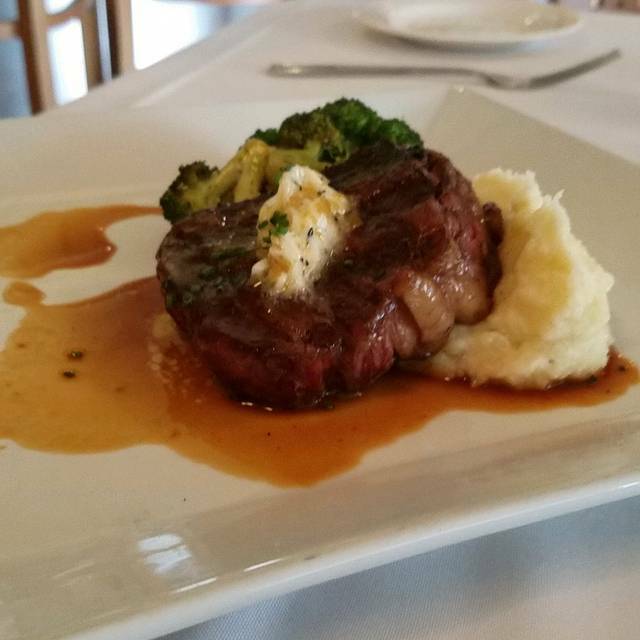 Ordered the filet: cooked just right to my liking. My margarita was quite strong, but they remedied that for me easily. Nice wine list too. The noise level was a little higher than normal only due to it being full and the occasion. Otherwise, this place is usually on the more quiet side. Came for an early NYE dinner and everything was very good. We had the caesar and house salads which were both very good. 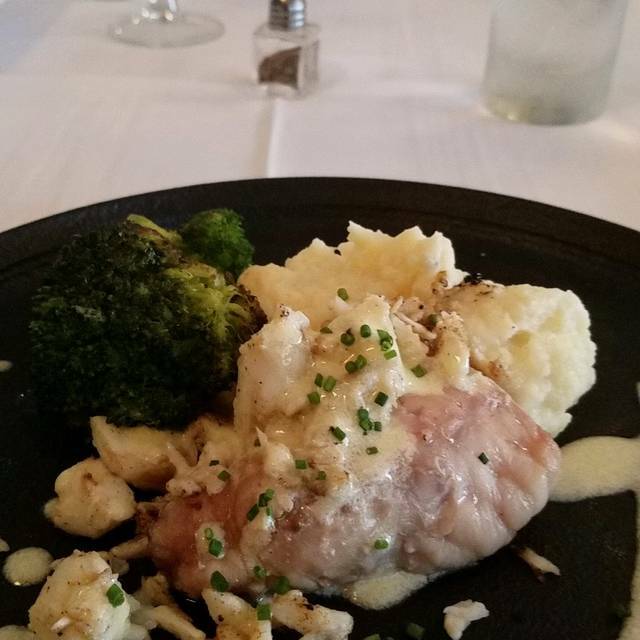 Chicken marsala and rockfish was prepared nice and with different accompaniments than just potato and vegetables. Waiter was " blah"! No personality. We were a party of seven and were seated directly by the door with a 5:30 reservation on New Year's Eve. We asked for a different table further back and were told no. That table stayed open until we left. The restaurant was fairly empty at this time. Felt the restaurant was very pricey for what we ordered compared to other restaurants of equal value. Very sterile looking and little ambiance. Jules could well be the best restaurant in Ocean City. My wife and I have been going to Ocean City for over 40 years, and this was truly a great find. We went early on a Sunday evening for dinner. Arriving before 6 PM is rewarded with a complimentary glass of wine. We were immediately greeted and seated promptly. John, our server, explained the regular menu and the Prix Fixe Dinner menu which we selected. The shrimp bisque was the best we have ever had - we would return just for that dish. The salads were crisp with house-made dressing. The filet was tender, properly seasoned and cooked to the requested temperature. The crab cake was creatively presented and lacked the usual bread filler in favor of more crabmeat. The accompanying vegetables were the perfect compliment to the meal. Coffee was served (and refreshed) quickly. The Grand Marnier soaked strawberries were the perfect end to a perfect meal. We would highly recommend Jules and will make this our first restaurant stop on our next trip to Ocean City. The seafood special was excellent. The food is unique and always well prepared. We’ve been here before and had great food. Friday night we weren’t impressed. One of the (if not THE!!!) best in Ocean City. Chef is always creative, using locally sourced ingredients. A hidden gem that we’ve been going to for years. Awesome experience! Restaurant week and everything was delicious! Our waitress was delightful and helpful. My husband loved his pork entree and the salmon entree with excellent as well. Go early before 6 pm and they provide a complimentary glass of wine. Will definitely go back soon! We tried to order 5 different bottles of wine, a variety of Reds. They didn't have any, after being told they didn't have the 5th bottle we left. Its unacceptable for a restaurant to not have 5 different bottles of wine. The only food menu offered was a Restaurant week menu. The server seemed annoyed. It was overall a really bad experience. I was saddened by this as I saw it was on a few of the best of OC lists. We have been dining at Jules many years with 12+ people while at a convention in Ocean City and found the service and food exceptional. Took our family (siblings and mother) to Jules 2 years ago and wanted to have a repeat experience to celebrate our mom’s 90th birthday Saturday night. Our waiter was the absolute worst waiter we have experienced in many, many years. Rude and inattentive making our “celebration” very intense. The menu was limited and food below average. Will never return. First of all I made reservations on Open Table and then called to add 2 additional folks. Greeted by staff with a ready table! So awesome. 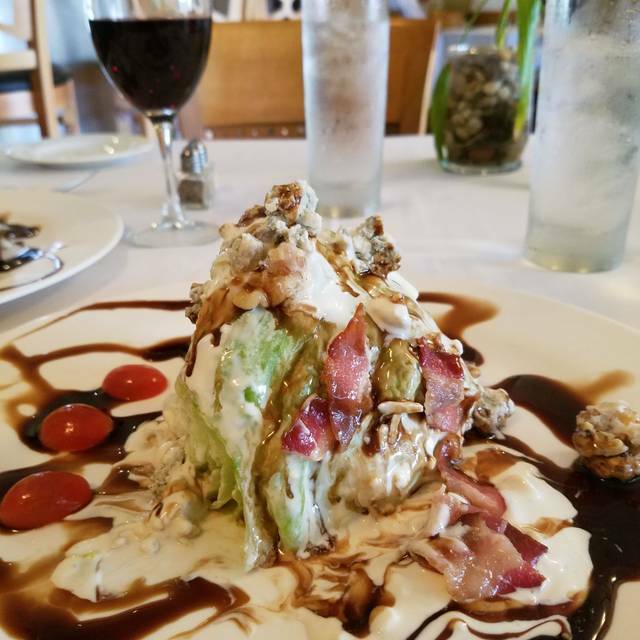 Service impeccable and food delicious——beautiful presentation. Would highly recommend! Thank you!!!! Love, love, love this place! The gem of OCMD. Great wine list, best drinks, delicious tomato/crab/corn soup, incredible whole fish...I could go on and on. Try it, you'll love it! Delicious food and drinks. So many great choices. We have been coming to Jules since 2013. The quality of the food seems to to have deteriorated. There seem to be fewer choices with the prefix as well. Three of the 5 entrees were an additional fee. I would rather see the price go up overall to maintain the quality and selection that we had enjoyed in previous years. The Monkfish was not good. It was not moist, flaky and tender with a fresh taste as it should be. It was rubbery and dry and cold in the center. Have come to JULES for years when visiting OC, and loved it. This time service was very poor, waitress kept saying she’d be right back and forget to come back. My food was very good except for the roasted veggies as they were burned. We talked to the owner and he was very condescending and didn’t care that we were displeased. Just kept telling us what a good bargain we were getting. This restaurant is off our list. Jules has a e course, appetizer, salad, entree with good choices for a reasonable pricefrom 5 to 6 in the evening. We have eaten here several times and it always good. The full menu is also wonderful. The food was wonderful. Our party of 6 each got different items including some of the specials. The waitstaff was attentive without being intrusive. Atmosphere was quiet and the dessert and coffee were a great way to end a terrific restaurant experience! Despite the "strip mall" storefront location - Jules was a true bright spot in a dreary, rain filled golf canceled / washed out weekend in OCMD. Boys (7 grown men) had a REAL meal cooked by a REAL chef and served by a fantastic waitress who appreciated her job and our business. She doubled as a bartender too and makes a well done Woodford Reserve Old Fashioned!We ordered from across the menu with a wide variety of items including steak (filet mignon over a shrimp risotto) and double tail cold water lobster. Be it seafood, steaks, the tomahawk chop or appetizers - every one of our plates went back to the kitchen clean. Never easy to serve a large table and have everyone walk away content. The Jules team deftly handled the challenge and the limited but ON POINT menu has enough to satisfy all tastes. We sauntered across the street for an after dinner cigar, and lets just say the Jules team made sure we didn't go thirsty. Just great service from a local INDEPENDENT restaurant and someplace you should definitely try. To be fair ... we went over the Labor Day weekend - it's a busy time and sometimes wait staff has left to go back to school ! I spend the summers in OC and eat at the top restaurants a couple nights a week ! I have my favs that I frequent over and over! This was my first time at Jules ! The food was overall very good - my sons had the soft shell crabs and they eat them often and they thought they were some of the best they have had in OC ! I had the lobster twin tails and they were OK - for the money I wasn't impressed ! I ordered a bottle of Moët champagne and asked if it was cold - server insisted it was but it wasn't - it's obvious it wasn't previously chilled ! I don't complain so I just drank it but I was disappointed! I also felt like our server was ignoring us - not sure why! We did not get refills of water all night - maybe it was the holiday weekend but the service ruined our experience! They also had 2 large groups for private parties - very loud .. overall I think they miss the mark on dining experience - no ambiance- lights were not dimmed and the vibe is not as good as other restaurants - missing something - I won't go back ! Soft crab special was outstanding with large meaty crabs. 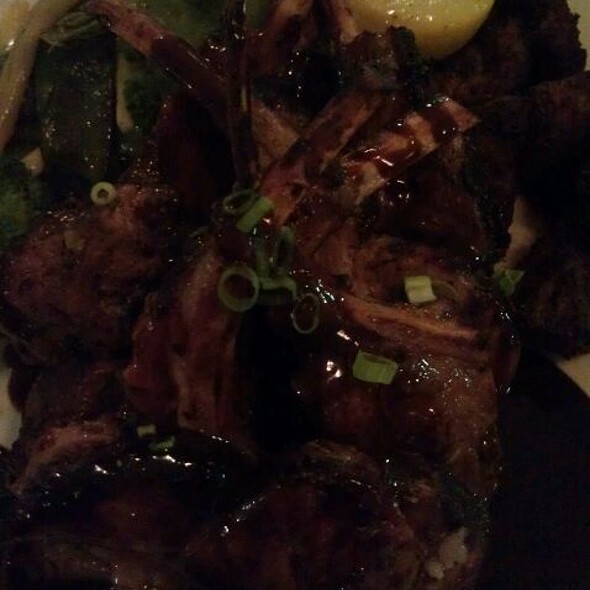 Lamb chops looked good. Salads and soup were all good. Fried whole fish special certainly had a special appearance staring at us all, and was interesting and tasty. It was tasty but too much work. We had not been warned it would not be filleted, and many diners would have rejected that when presented. Staff must alert diners about things like that. The woman who ordered it was not put off by the effort or the bones likelihood but needed some assistance to start. Picking fish from bones is not for everyone. Best soft shell crabs I have ever had!! Prix-fixe menu represents quite a bargain for the quality of the food and the variety of the offerings. All 3 courses were tasty, with the appetizers (tomato/corn/crab soup and soft shell crab slider) setting quite a high mark. I return every year when we come to the beach because of the value and quality. We have been there many times. This time the service was Terrible! The restaurant was almost empty, maybe 8 tables. All of us waited at least over 90min for our meal. Food was good but we awere starving. No one offered more rolls or anything. No explanation was given. Waiters had to make their own drinks because there was no bartender. Not sure we will go back. Food was underwhelming for the price. Chops lacked flavor. Soft shell crabs were greasy. I had monkfish which was tough. My husband liked his lamb chops. It was noisy because the bar is right in the middle and it was at end of cocktail hour. If you are paying the high prices for food and drinks, you want ambience! Met longtime friends for dinner. Food was very good - soft shells and duck. Major issue was noise level - small service area with the bar intruding into it. Bar patrons nearing end of happy hour were overly loud making it very difficult to hold a conversation with our friends. The configuration of the place is a conundrum - bar or restaurant? Our party of four vote for restaurant. We were unexpectedly late for our reservation, 1 1/2 hours late, and the staff was very accommodating. The food was very good, Chef Jules always has an interesting daily special. Our meals were very well prepared and presented. Our cocktails were very refreshing. Great neighborhood restaurant away from the Boardwalk and frequented by locals. You must visit when in north Ocean City. Dinner was good, as usual. Server, Scott was very attentive. THe seafood pasta was awesome. We have been to this restaurant several times. Hidden gem in OCMD! Great food and excellent service. Have been here many times and have never been disappointed.